Spain's National Court ruled on Tuesday to extradite a 36-year-old Russian computer programmer, accused by American authorities of malicious hacking offences, to the United States, according to a court document. Peter Yuryevich Levashov, also known as Peter Severa, was arrested in April this year when he was travelling with his family to Barcelona, Spain from his home in Russia—a country without an extradition treaty with the United States—for his role in a huge computer botnet. However, since Levashov has previously worked with for Vladimir Putin's United Russia Party for ten years, he fears that the US authorities would torture him for information about his political work if sent there to face the charges against him. "If I go to the U.S., I will die in a year. They want to get information of a military nature and about the United Russia party," RIA news agency quoted Levashov as saying. "I will be tortured, within a year I will be killed, or I will kill myself." Levashov was accused of operating the Kelihos botnet—a global network of more than 100,000 infected computers used to deliver spam, steal login passwords and infect computers with ransomware and other malware since at least 2010. While initially it was speculated that Levashov was involved in 2016 U.S. election hacking, the FBI made it clear that the suspect was arrested due to his involvement in the Kelihos botnet and spamming targets for trying and forcing them to buy worthless stock. According to the FBI officials, Levashov used the same IP address to operate Kelihos botnet that he used to access his email and other online accounts in his name, including Apple iCloud and Google Gmail accounts. The Department of Justice's indictment said the Russian suspect allegedly used Kelihos to distribute hundreds of millions of spam e-mails every year, and pump-and-dump stock scams, especially targeting Microsoft Windows machines for infection. Besides conducting spamming operations, Levashov also allegedly used the Kelihos botnet to infect end-user computers with malware and harvest passwords to online and bank accounts belonging to thousands of Americans. 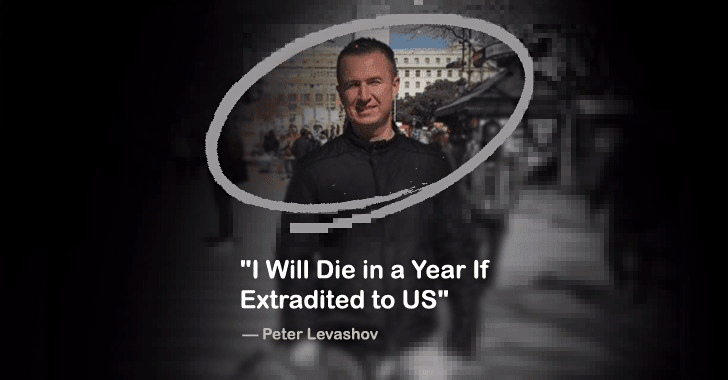 The United States had requested Levashov's arrest, and after his arrest in April 2016, Russia in September filed a counter-extradition request for Levashov hours before the original extradition hearing. However, Spain's High Court has approved the U.S. extradition request of Levashov, who has been charged with wire fraud and unauthorised interception of electronic communications. United States prosecutors are seeking a 52-year jail sentence against Levashov, who has already denied the charges against him, Reuters reported. Levashov has now just three days to appeal his extradition to the United States.